Losing Gianluigi Buffon just few hour before meeting As Roma last weekend might be considered as a little bit ‘blessing in disguise’ for Juventus after the Zebra’s second keeper, Marco Storari, who was actually a starter before the new year, once again showed a sublime performance on the game. Storari’s success in rescuing his team from Francesco Totti, Jeremy Menez, Mirko Vucinic and Daniele De Rossi’s efforts gave him the courage to once again sent an ultimatum for Juve’s coach, Luigi Del Neri, asking that his position should be restored as the Old Lady’s number one. The ex-Ac Milan goalie, was previously being set as a temporary replacement for Buffon, who had a bad injury before the season start and needed a recovery time until the new year before able to play again. Surely after the Italian number one goalie returned from his injury, Storari’s place was relegated again to the bench despite that his performances been a little bit better than Buffon this season, this condition opens up the talk that he is considering a move although staying in Turin is still his first option. “Only a blind person can’t see what I am doing and I hope the Coach is not blind. I move to Roma instead of Buffon? I have never hidden the fact that I am a Roma fan, but the truth is that I am happy at Juventus and I want to earn some space here,” Storari said. Surely this statement could give a lot of pressure for the Old Lady’s coach, Del Neri, as it would be difficult for him to bench a quality keeper like Buffon, who although hasn’t been at his best due to the long injury is still an important player for the Bianconeri. Looking at his latest statement, it looks like the ex-Sampdoria coach expects that Storari won’t make such a fuss about the situation and accept every decision that the tactician makes regarding who should be playing. 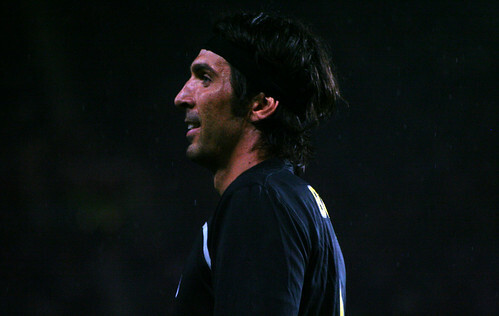 “I’m not blind, Storari has a champion in front of him in Buffon. I want to thank Marco for what he did against Roma and I hope that he stays with Juventus – even if he doesn’t play,” Del Neri replied Storari’s ultimatum. This condition could really make things odd for Juventus for the remaining of the season as a player already publicly indicating that he wants to play as starter instead although there’s an important player standing in front of him. Moreover, Storari’s statement could actually his way of asking clarity regarding his future as if the club can’t confirm his status in the starting line up, the keeper would be opting to leave in the summer.